I don't know about you guys but I am obsessed with the show Girls. Series three started in the US this Sunday and in preparation I watched series two again. 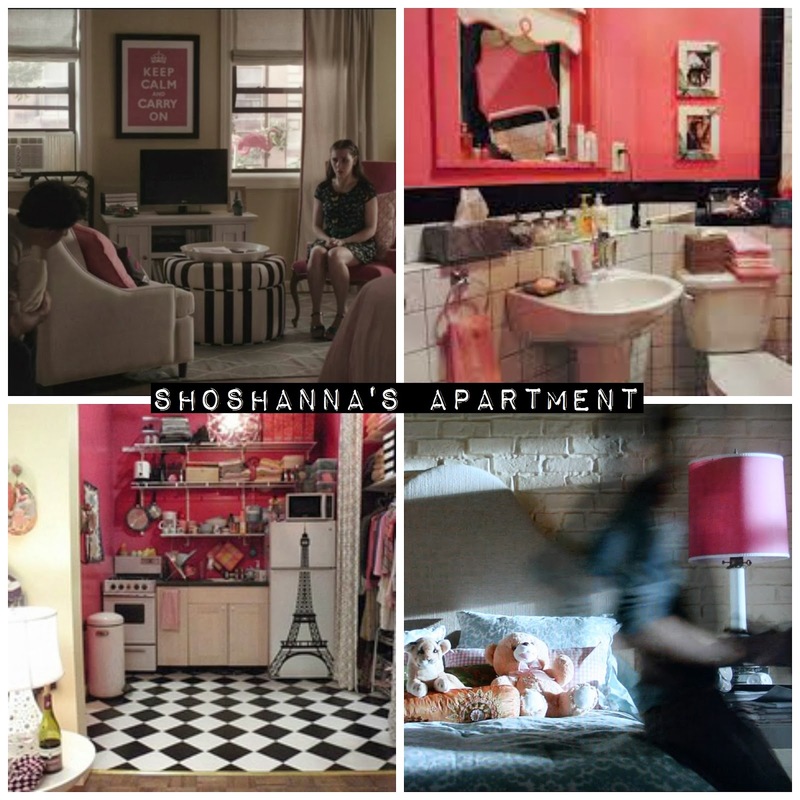 In the last episode I noticed how cool Shoshanna's apartment is. 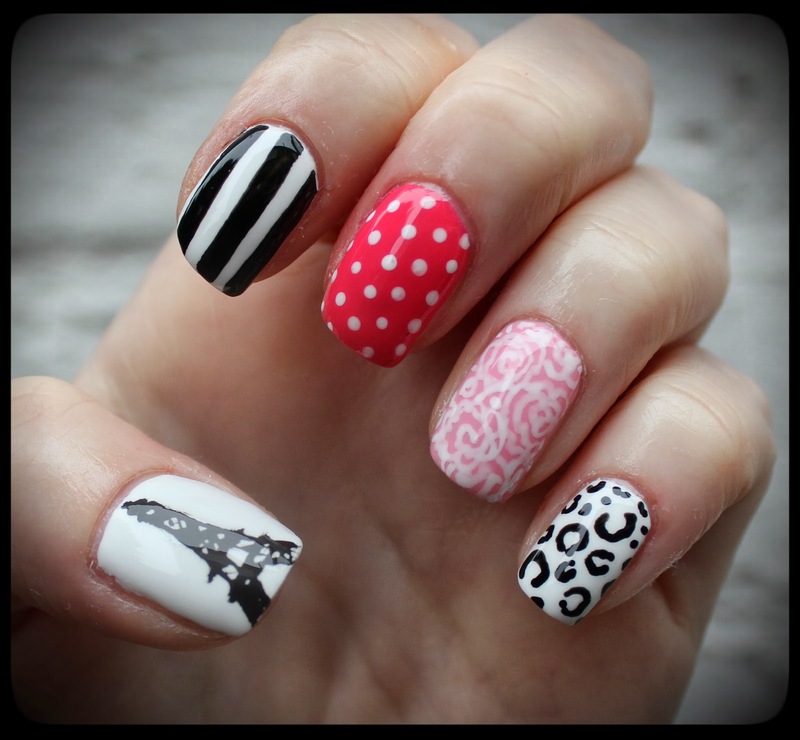 It's all pink, white and black with super girly touches which I thought would translate perfectly into a nail design. The designs I chose were: an Eiffel Tower (from the fridge), classic black and white stripes (from the pouffe), pink and white dots (from the general vibe), pink roses (there is a vase of pale pink roses), black and white leopard (from a cushion). The Eiffel Tower did not turn out how I wanted but it looks kind of arty I think/hope. I used Barry M polishes for this look including: black, white, grapefruit, and strawberry ice-cream. Shoshanna isn't my favourite character but I do love her pad and all of the inspiration it provides. Next time I'll use the flamingo in her window. Have you been inspired by any TV shows?